The mission of the Hamilton County Hoarding Collaborative is to provide a fair and standardized approach to working with people in hoarding situations, while providing resources, education, and guidance to the community. Download our Hamilton County Hoarding Collaborative Brochure here. 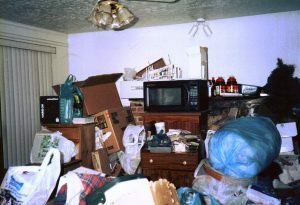 How Can I Tell If I am a Hoarder? Functional impairments (e.g., loss of living space, no place to eat, sleep or cook), and social isolation. Decide to start NOW . Involve others who care about you and your situation. Develop a plan and set goals. Be patient – Your problems were not created overnight and they are not going to be fixed overnight. Make three piles, one room at a time. Donate —items should be donated the same day. Discard —items should be discarded the same day. 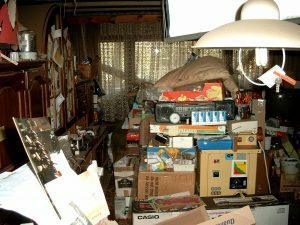 How Do I Help Others Whom I Feel Might be Hoarders? Don’t use judgmental language – match their language; don’t use words that devalue their possessions . Make positive suggestions — highlight their strengths. Avoid touching their possessions —let them do the work and make the decisions . Focus on safety first — ensure that all utilities are on, there are adequate pathways throughout the home, HVAC registers are clear and working, and smoke and carbon monoxide detectors are available and working . Involve as many family and friends as you can . Refer to other agencies (in our brochure).